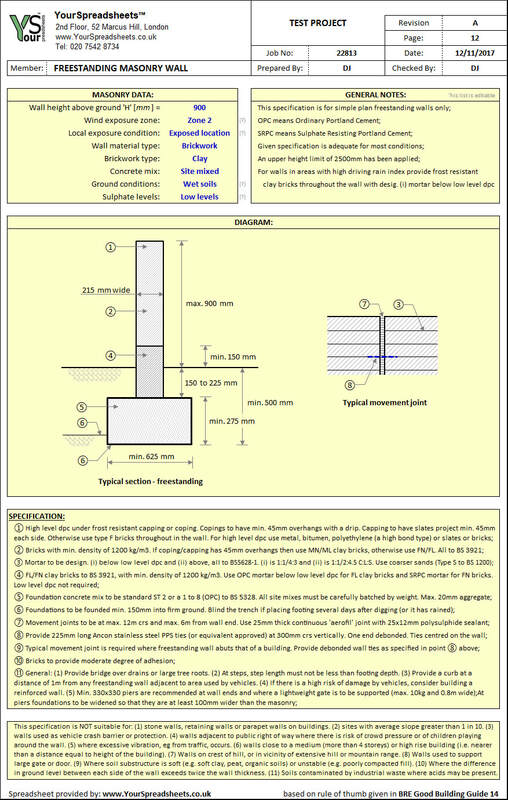 Spreadsheet for designing masonry freestanding walls. But most importantly it addresses the common challenge of providing a detailed and robust enough specification for freestanding masonry walls. It was designed to generate full specification quickly and easily, even by an inexperienced specifier. 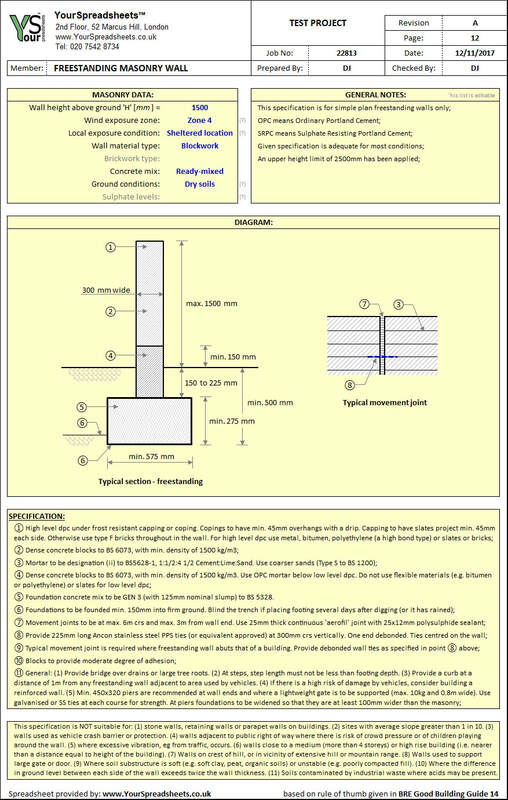 In roughly ten clicks you will have a full specification with a descriptive sketch that can be sent directly to site/Contractor or be used to create a standard detail on a drawing. Ideal tool for engineers, architects, contractors and builders. For specifying brickwork and blockwork walls. The spreadsheet is based on rules of thumb given in BRE Good Building Guide 14. 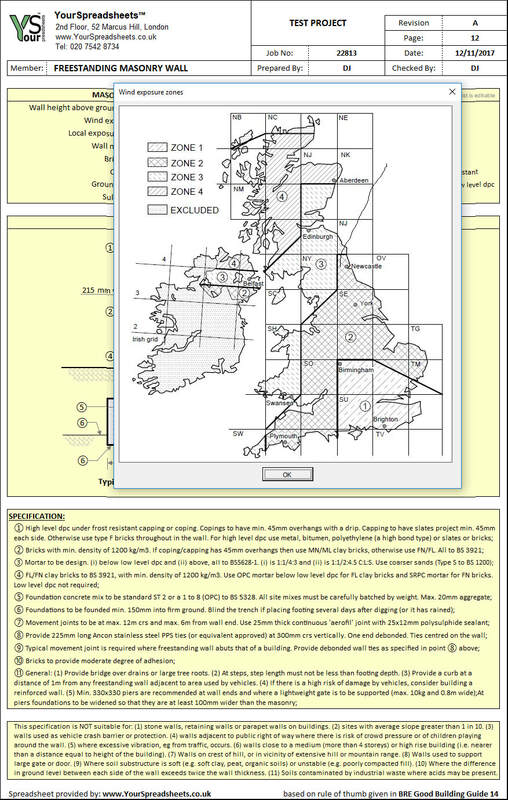 - Spreadsheet is based on rules of thumb in BRE Good Building Guide 14 (GBG 14). - Soils contaminated by industrial waste where acids may be present. FREE Lite version: Freestanding Wall Spec Spreadsheet (1.0). FULL version: Freestanding Wall Spec Spreadsheet (1.0).